Executive Vice President of AboCom Systems Inc.
Calvin Chang is Executive Vice President of AboCom Systems, Inc., one of the leading telecommunication companies in Taiwan focusing on the design, development, and manufacture of RF/Microwave and networking technologies. Prior to joining AboCom in 1997, Calving Chang has served previously as R&D Director and Sales & Marketing Director. He personally holds several patents and received a M.B.A. Degree from Golden Gate University (San Francisco, US). technical director of corporate strategy at mediatek inc.
Chih-Yuan Chen is a Technical Director of Corporate Strategy at MediaTek, where he explores new business opportunity and inspects business intelligence. Since joining MediaTek in 1999, he has more than 15 years of experiences in technology and business development. He received his Ph.D. degree from National Tsing Hua University in 1997 and an EMBA degree in National Taiwan University in 2012. Hung-Jen Chen is the CTO of WNC, a major ODM/JDM for Broadband, Multimedia, Wireless, and M2M sectors. As CTO, Dr. Chen is responsible for selecting and developing core competence and advanced, strategic technologies and products for WNC. Ray Chen is the CEO of LongGood. LongGood Ltd. was founded in 2012, and provides an interactive rehabilitation system to help patients who need to rehabilitate at home, while collecting clinical data for physicians and therapists simultaneously with Mircrosoft Kinect motion sensing technology. LongGood was part of the startup pitches at the ExA-Summit in Berlin. Dr Chen has more than 30 years of experience in the software industry. His areas of expertise include distributed systems, embedded systems, object-oriented design methodology, enterprise web applications, project management, and technical and business analysis. Wei-Chao Chen is a co-founder at Skywatch Innovation, a company that provides cloud-based video products and solutions. He is also an adjunct faculty member at the National Taiwan University. His research interests involve graphics hardware, computational photography, augmented reality, and user interfaces. Dr. Chen was a senior research scientist in Nokia Research Center at Palo Alto between 2007-2009, and a 3D Graphics Architect in NVIDIA between 2002-2006. Dr. Chen received his MS in Electrical Engineering from National Taiwan University (1996), and MS (2001) and PhD (2002) in Computer Science from the University of North Carolina at Chapel Hill. Bob Cheng is a director at KAMIA where he actively advises portfolio companies and searches for new investment opportunities. KAMIA is an early stage venture capital fund focused on Internet and Internet-of-Things (IoT) investments in Taiwan and abroad. Bob Cheng joined KAMIA in 2011 to actively help accelerate and assist the growth of their portfolio companies through his knowledge of operations and process improvement. Bob Cheng has been in Taiwan since 2009 after graduating from Georgia Tech (MBA), and initially worked in the semiconductor industry. Chaoyin currently holds the position of Division Director, Electronics & System Research Division, Industrial Economics and Knowledge Center at the Industrial Technology Research Institute (ITRI). She has more than ten years of experience as an industrial analyst, and her specialty is digital convergence, Internet of Things, wireless communications, and technology-enabled service industry. Dr Tzi-Dar Chiueh received a B.S. and Ph.D. in electrical engineering from National Taiwan University and California Institute of Technology in 1983 and 1989, respectively. He is now a Professor in the Department of Electrical Engineering and Graduate Institute of Electronics Engineering at National Taiwan University. Since May 2015, he has been appointed as the Senior Vice President of the National Applied Research Laboratories in Taipei, Taiwan. His research interests include algorithm, architecture, and integrated circuits for baseband communication systems. In 2005, he received the Outstanding Electrical Engineering Professor from the Chinese Institute of Electrical Engineers (Taiwan), and was awarded the Himax Chair Professorship at NTU in 2006. In 2009, he received the Outstanding Industry Contribution Award from the Ministry of Economic Affairs, Taiwan. Dr. Chiueh is an IEEE Fellow. Morris has been in the media industry for over 12 years. He's experienced in social media marketing and digital advertisement planning. He is now building a new e-commerce system for An-Shin Food Service Cooperation. vice president at quanta computer inc.
Dr Michael Halbherr has been holding several senior positions as Technology Executive over 15+ years. Between 2006 and 2014, he worked at Nokia, covering different roles, incl. Chief Executive Officer for the location cloud service HERE (2014), Member of the Leadership Team (2011-14), and Vice President Ovi Products (2006-11). He was responsible for Nokia´s growing investment in cloud-based connected services and the IoT, having also executed Nokia’s acquisition of the location-based services provider NAVTEQ (2008). Prior to joining Nokia, he was Chief Executive Officer at gate5 AG (later acquired by Nokia), developing a Berlin-based startup into a worldwide software supplier for personal navigation devices. A recognised authority in the industry, Michael Halbherr has recently decided to focus more closely on his own independent entrepreneurial activities. Co-Founder and Managing Director of Yushan Ventures Ltd.
Volker Heistermann, co-founder of Yushan Ventures, is an investor, entrepreneur, and former manager at the Fortune 100 mobile operator AT&T. He has been involved in the mobile, open innovation, and startup space for the past 20 years, working in Silicon Valley, SE Asia and Greater China. Volker’s previous positions include Manager of Market Intelligence at IDG, and Vice President of the investment bank Ruthberg & Co. With his considerable network in the Asia Pacific Region, Volker is an advisor to APEC and Taiwan’s Ministry of Economic Affairs’ SMEA; he conceptualised the APEC Accelerator Network, ran the MobileMonday Taipei Chapter, Startup Weekend Taiwan events, brought the investment fund Startup Labs and AngelLabs to Asia, and is advisor at Mobile Matrix: a social venture incubated at Stanford University with operations in Brazil. This year, Volker is focused on opening an ASEAN IoT Innovation Lab in Bangkok, which is backed by the United Nations Development Programme and the Thai government. Robert Herzner leads the science & technology function at the German Trade Office (GTO) in Taipei. As a foreign representative organization, the GTO is an intermediary between German and Taiwanese business, including fostering collaboration between companies, institutions and research organizations. Prior to joining the GTO he worked in legal, technical and sales positions in Frankfurt, Taipei and Beijing. Robert holds an MBA from National Chengchi University and a JD in law from the University of Mainz. Frank Ho has over 26 years of experience in venture investment and IT industry operation. WK Technology was established in 1989 and currently has 500 million USD of venture fund under management. Prior to joining WK in 1998, Frank worked for Hewlett-Packard Taiwan where he led the Sales and Marketing team, as Country Marketing Manager. During that time, he and his team received a high achiever performance ranking by Asia Pacific Region and built up a good relationship with IT channel partners. Florian is Marketing Director of the Automotive Aftermarket Division located in Taipei, Taiwan. He is responsible for the Product Marketing of the Business Unit Rotating Machines in Asia Pacific including Korea, Japan, China, Taiwan, ASEAN, India and Australia/New Zealand. Within the scope of the aftermarket activities in Asia Pacific, there are increasing market trends and internal developments which drive for a joint offline and online approach for assuring upmost customer satisfaction and business growth. Before his posting to Taiwan he worked in various management positions and projects for The Bosch Group mainly in Sales, Marketing and Business Development in Germany, France, Brazil and China. Rainer Horn is the Managing Partner of SpaceTec Capital Partners, an investment and advisory firm specialised in space applications, security and mobility and with a long track record in working with East Asia. SpaceTec works with European institutions on high-tech strategies and engages in startups as investor and coach, accredited from leading seed funds. Rainer Horn is a member of advisory boards of start-ups and the European Commission’s Galileo Programme. SpaceTec’s EU-funded initiative GNSS.asia drives industrial cooperation across continents in the navigation sector with regular events on internet of things and smart cities in Europe and Asia. Prior to SpaceTec he was a Finance Director at Booz Allen Hamilton and leader of the Space Services and Telematics Practice. Kenneth co-founded several technology companies in Taiwan and Canada, namely, Hexawave, Sumtel, Wavesat, etc. He was elected as Chairman for BWA (Broadband Wireless Access) Industry Alliance in 2006. Ken is also recognized as an expert in Taiwan in the area of identifying, developing and evaluating executive talents to grow Asia Pacific tech companies. Kenneth is currently teaching SME and Innovation Management, and PE/VC Management at National TsingHua University in Hsinchu as an Adjunct Professor. Kenneth is the Co-Founder and Managing Director of Transpacific Capital Asia (TPCA): a private equity fund management company whose primary investment focus is med-tech and healthcare related opportunities. TPCA leverages an international platform for developing and re-positioning medical device technologies in the Trans-Pacific Region. Steve Hsu has over 19 years of experience in new business development, venture investment, intangible asset valuation and business incubation. Mr. Hsu used to work for several publicly listed and private companies as Senior Investment Consultant in Taiwan and Shanghai. He also co-founded the AboutMedia Technology Corporation as CEO. Since 2005, he has been working for ITRI and concentrating on new business development, as well as being in charge of the Open Lab, Incubation Center, and TechVenture Accelerator. He is also the Investment Promotion Consultant to Hsinchu County Government, the think tank of Small and Medium Enterprise Administration, Ministry of Economic Affairs of Taiwan, the Director of GlobalTic Association (Global Entrepreneurship and Innovation Association) and the Director of Shanghai University of Finance and Economic’s Taiwan Alumni Association. Jay Hsueh is the investment manager of Fungly Venture Capital. He previously launched a business on his own and has assisted several startup teams such as oThe Tech and Aetoech. He also had experience working as an intern for UniQuest, one of the biggest incubators and accelerators in Australia, while studying at the University of Queensland. Jay is highly interested in the topic of entrepreneurship. Chunghwa Telecom is the leading integrated telecom carrier in Taiwan. Dr. Hu has served CHT for more than 20 years. Dr. Hu and his team are currently focused on introducing and incorporating promising innovations into CHT for the development of emerging business opportunities. Prof Dr Hank C. Y. Huang is Director of the Center of Industry Accelerator & Patent Strategy, Associate Dean of the College of Electrical and Computer Engineering, and Professor at the Department of Electronics Engineering at the National Chiao Tung University, Taiwan. He is also Chairman of the Chinese Business Innovation Association. With 10+ of experience in business incubation and technology transfer, he is the creator of the IP Alliance (2013) and the Asia Accelerator Network Association (2014). Prof. Hank Huang is one of the key figures behind the development of the startup ecosystem in Taiwan. Jessica Huang plays dual roles of Sales and Project Management Director at Wistron Corp. for Autotronics Service, missioned to be a world-class In-vehicle Infotainment (IVI) system and telematics solution provider in terms of design, development and manufacture to serve car OEMs and Tier 1 automotive brand names. She has served Wistron more than 10 years across diverse industrial product lines. Jessica Huang and her team are currently focused on developing and incorporating connected car technologies into the next generation of IVI systems. SP Huang is a consultant of the Committee of Communications Industry Development (CoCID). CoCID is a government agency that was established in 2003. While its main focus is the promotion of general affairs in the communications industry, it also aims at fostering industrial cooperation, business opportunities and innovative applications. Before joining CoCID, SP Huang served in both local and multi-national ICT companies with diverse experience in management consulting, business development, technical marketing, project management, research & development, P&L management, strategy formulation and implementation, new product research & development, and cross-functional team building. Frank Jiang previously served as VP of Engineering at Nucom Systems Inc. (1994-1996) and VP of Engineering at Network Peripherals Inc. (1996-1997). He then moved on to be General Partner & President of Triton Ventures (1997-2002), CEO & President of CyberTAN Technology Inc. (2002-2005), Chairman of Unifosa Inc. (2003-2006), & President of Quanta Microsystems Inc. (2006-2010), VP & GM of Connectivity BU, Quanta Computer (2010-2014). As of now, Frank Jiang is the General Partner & President of Triton Ventures. Nathan Kaiser is a founding partner of Eiger, an award-winning law firm with offices in Shanghai and Taipei. Nathan Kaiser has over 15 years of professional experience in the Greater China area, advising international clients in technology law, big data analysis, data privacy, and the legal framework surrounding IoT. He serves on the board of companies in Greater China, as well as in his native Switzerland. Eiger is ranked as a leading law firm for its technology, media, and telecom practice, and Nathan’s commitment to new technology also extends to his firm’s day-to-day operations. Nathan Kaiser regularly speaks at events related to emerging technologies and the law, as well as serves as a juror on many international innovation contests. He speaks Mandarin Chinese as well as English, French, and German. As president & CEO of Information Technology Total Services(ITTS), Eric is not only responsible for the strategy development & executive operations in Greater China, but leading the team to focus on ITO & BPO services, with many cross-strait successful leading clients. For the coming IoT era, Eric also implemented innovative IoT services for enterprise clients, one of the successful cases is the application of Internet of Vehicles in logistic industry. Eric was the former CIO of Teco group, received an EMBA degree in NTUST(National Taiwan University of Science and Technology), gained certifications of CPIM & BSCM in APICS, and was also a famous speaker in III(Institute for Information Industry) and IMA(Information Management Association of R.O.C.). Jenny Lai is the Assistant Vice President of ZyXEL Communications Corporation, head of the Digital Home Business Center. Before her current position, she took on several roles in ZyXEL, including sales manager, logistics manager, and product line manager. marketing director of vescir ltd.
Ivan Lee is marketing director at VesCir Ltd. VesCi is committed to the development of quantifying-self technologies on beauty devices. It provides users with accurate historical data and valuable analysis. Users are able to receive the analysis, and get personalized suggestions to improve their current condition. VesCir believes by objective quantifications, people can understand their skin better, and treat it in a correct way. Ivan is an adventurer trying to push the beauty industry into the digital age. Vescir was part of the startup pitches at the ExA-Summit in Berlin. Dr. Wei-Bin Lee is currently serving as the commissioner of the Department of Information Technology (DOIT) at Taipei City Government. Business of the department covers with the IT-related policies planning, infrastructure deployment, system development, and application services construction. Dr. Lee is now involved in the project of “Smart City”, helping Taipei City develop new urban designs and plans under the challenges of urban environment changes, and engage more effectively and actively with its citizens. Before serving in the DOIT, Dr. Lee served as a professor at the Department of Information Engineering & Computer Science at Feng Chia University. He possesses rich experience in teaching and conducting research, and is especially interested in the issues of information security, privacy, social media, and digital learning. He was also a visiting professor at Carnegie Mellon University in the US and University of British Columbia in Canada. During his years at Feng Chia University, Dr. Lee held post as a CIO of the school, making Feng Chia University one of the top ranking schools in terms of establishing a ubiquitous campus. As a secretary of Dr Feng Yen, Minister without Portfolio, Executive Yuan (Cabinet), Wei-Jen works to coordinate cross-Ministry meetings concerning the overall startup policy. Dedicated to building a better startup ecosystem for young Taiwanese entrepreneurs, Wei-Jen attempts to connect the Government and private sectors to maximize resources for entrepreneurs. Mr Leu received his M.S. degree in electronic engineering from National Taiwan University and EMBA from National Taipei University. Prior to joining the Industrial Development Bureau at Ministry of Economic Affairs (MOEA), Mr Leu served in the Department of Navigation and Aviation and Civil Aeronautics Administration at the Ministry of Transportation and Communications (MOTC). He then continued his career in the public sector as the Director for Information Technology Industries Division, Secretary General and Acting Director of Sustainable Development Division under the Bureau. Mr Leu currently serves as the Deputy Director General of Industrial Development Bureau at the Ministry of Economic Affairs. Dr. Wen-Syan Li is Head of SAP Customer Innovation & Strategic Projects – Asia Pacific, Japan, and Greater China and co-lead for SAP IoT/Industry4.0 China Initiative. The German company SAP is a global market leader in enterprise application software. Wen-Syan Li is responsible for building predictive analytics capabilities and innovative applications on SAP’s in-memory database HANA, engaging customer co-innovations, conducting strategic R&D projects in IoTT, as well as directing joint research programs with leading universities, including Tsinghua University and Fudan University (China). He received a PhD in Computer Science from Northwestern University (US). He also has an MBA degree in Finance. His research interests include databases, distributed computing, data mining, machine learning, optimization & scheduling, and IoT. Before joining SAP, he was with IBM Almaden Research Center located in the Silicon Valley; and was the winner of 2007 IBM Research Award and 2004 Best of CeBIT America Award in Enterprise Software. He has co-edited 3 books published by Springer, co-authored more than 100 journal articles and conference papers in various areas, and co-invented more than 100 granted/pending US patents. Chinru Lin is Vice President of ZyXEL Communications Corporation, Head of Broadband and Connectivity SBU. Before his current position, he took on several roles in ZyXEL, including engineer manager, sales manager, and setup product management team in the company. Earlier in his career, Lin was also venture capitalist and founded a successful startup. assistant vice president of tpv technology ltd.
Derek Lin is AVP of Software Engineering of TPV, a display company owning Philips TV/MNT and AOC brands. In shipment terms, TPV dominates the monitor segment with over 30% market share.For TV, it ranks third and is the largest in the ODM sector. Derek leads SW architecture and MNT/Smart MNT/Public Display/big Tablet SW innovation and development. Currently, he focuses on Cloud/IoT and smart display connectivity and application to work with vertical Market SI partners. Prior to TPV, he served as SW VP and Director in ATI, AMD, Trident, and XGI. He received a Master’s of Computer Science from the University of Southwestern Louisiana and Chia-Tung University, and an EMBA from the University of California. Jamie founded AppWorks, the largest accelerator in Asia with 170 startups and 400 founders in its network. Twice a year, its 6-month program takes in 25 startups. Star alumni include EZTABLE, CHOCOLABS and Fandora. AppWorks funds its startups, typically through leading seed or A rounds, investing US$ 100K to 1M per deal, and aligning co-investors based on each startup's needs. Jamie wakes up at 5AM every morning to post articles to his blog, "MR JAMIE" (http://mrjamie.cc/), which serves 3 million readers a year. managing director of transpacific capital asia ltd.
Kevin has co-founded and managed multiple tech funds in Taiwan and has directed investments in Asia, Europe and the U.S. Kevin was the founder and President of Fortune Technology Investment Corp, President of Paragon Venture Capital, which he co-founded with the former Chairman of Foxconn Technology Co Limited (Charles Lin), and also directed the Venture Capital department of Jih Sun Holding Group. Kevin began his career in finance, executing growth investments for CDIB (China Development Industrial Bank). vice president of daiwa-cathay capital markets co, ltd.
Ms Lin joined Daiwa Capital Markets in April 2002. She has over 10 years of experience working in investment banking in Japan and the Greater China Region. She is specialized in cross- border M&A, financial advisory transactions, and overseas fund raising. Ms Lin has been involved in the following deals: Hitachi Chemical to acquire shares of CSB Battery Co.,LTD, Japan Display Inc. to acquire Star World Technology Corporation via private placement, Valuation of Meita Industrial Co.,Ltd, and Valuation of Prosper Chemical Inc. (mandated by Kanto Chemical). She is a National Taiwan University graduate and holds a Master’s Degree from Waseda University. Ms. Lin is a native Chinese speaker and is fluent in Japanese and English. Shih-Ping is the founder and General Manager of Siemens Technology to Business Center Shanghai of Siemens Limited China. As an accomplished R&D and Innovation leader in one of the world’s leading electronics and electrical engineering companies, Shih-Ping has built a portfolio of success based on his 20+ years of experiences in partnering with researchers, scientists, and entrepreneurs to systematically transform technologies into breakthrough product innovations and growth opportunities. He developed new innovation methodologies to help Siemens systematically think outside the box and spearheaded new ways to engage local companies and achieve business, product, and cost innovation. Dr Christian Lüdtke's experience is in business development and investment. He was employed by the Bertelsmann Group for 10+ years and, among other things, brought the venture capital arm of BDMI into being. Most recently, he directed the $100 million dollar innovation fund of American publisher Houghton Mifflin Harcourt. Together with Philipp Depiereux and Philipp Herrmann, he co-founded etventure, an innovation company that helps business leaders to define future-proof strategies and to effectively execute digital businesses. etventure's activities include corporate consulting, executing digital transformation projects with large enterprises, startup building, innovation projects with public partners such as the EU-commissioned accelerator EuropeanPioneers, and executive education offered by the Berlin School of Digital Business. Mark designed and co- founded several private equity funds and participate in direct investment within CCB. Mark holds an MBA from Pepperdine University and a Bachelor's Degree from Tsinghua University. vp of professional & engineering services at canonical ltd.
Jon Melamut leads the Commercial Devices Operations team at Canonical. Jon provides executive leadership for the collaborative Ubuntu Kylin, 优麒麟, project. Ubuntu Kylin is a China domestic operating system (OS) developed by the Chinese National University of Defense Technology (NUDT), China Software and Integrated Chip Promotions Centre (CSIP) and Canonical China. The operating system is recognized as an approved OS for Chinese government and enterprise users and listed on China's GCPP, official suppliers and manufacturers directory. In previous roles, Jon has held executive and senior sales and business development positions at Pepper Computer, Adobe Systems, Glassbook, IBM and Lotus Development. Jon has completed studies at Franklin & Marshall College in Lancaster, PA, Bentley University in Waltham, MA and the University of Michigan's Ross School of Business in Ann Arbor, MI. Jonas Pauly is a central figure in the hardware startup community in Berlin. He was the Managing Director of HARDWARE.co, a global on-line and off-line community and accelerator of entrepreneurs, industry professionals and makers who want to create innovative hardware products and business. Jonas Pauly's background includes a degree in Business Psychology (BA) and European Business (MA and MSc) from the ESCP Europe. He consistently strives to connect people and provide creatives with the resources they need to build, manufacture and distribute cutting edge hardware. Armin G. Schmidt is a proven entrepreneur and executive leader in the field of connected cloud solutions and hardware devices. Based in Berlin and Taipei, he has a proven strong track record in the planning and execution of innovative solutions in this industry. As CEO of ATS Advanced Telematic Systems GmbH, he is now focusing on providing next generation telematic software technology for the connected automotive industry. Prior to founding ATS, Armin Schmidt was a founder and CEO of Aupeo, a leading automotive audio technology provider, which was acquired by Panasonic in 2013. Altogether, throughout his career, he served for 15 years in multiple positions at leading innovative companies in Asia, the US, and Europe. Previously Jean Michel has held positions as Orange Inspector General, as well as senior positions in Orange operations (Head of sales for France) and at HQ (Group Quality Director). President of Acer´s BYOC and Tablet Business Group, Acer Inc.
Mr. Shy was born in Taiwan and was educated at National Tsing Hua University, where he received his B.S. and M.S. in Electrical Engineering. Over the 26 years of his career at Industrial Technology Research Institute (ITRI), Mr. Shy has served as an engineer (1988-1995), senior engineer and deputy manager (1995-2000), manager (2000-2002), deputy director (2002-2006), and principal administrator (2006-present) at Information and Communications Research Laboratories (ICL). He also currently serves as Deputy Executive Secretary of Committee of Communications Industry Development (CoCID), and Director of Committee of Accelerating Mobile Broadband Service and Industry Development. general manager, corporate development of strategic finance international in telstra international ltd.
Telstra is Australia's leading telecommunications and information services company, 10th largest listed international Telco as well as a Fortune 500 company. As General Manger of Corporate Development, Eric is developing strategic investment / cooperation opportunities in GCR for supporting Telstra business growth. Before joining Telstra, Eric has had more than 20 years of diverse experiences with both local and multi-national companies on technologies and market development, business operation, business start-up, etc., especially in IT, telecommunication and mobile internet-related areas. Dr. Michael Sun currently serves as Executive Assistant to President & Head of New Business Development Office in AUO. In this position, he is responsible for company-wide new business incubation initiatives, with a focus on technology, capabilities, and business model perspectives. Previously, Dr. Sun served as VP of Mobile Solutions Business Group leading cross-functional sales and marketing teams, and engaged in display applications including notebook PCs, tablets, smartphones, touch solutions, industrial applications and automotives. He joined AUO in April 2010 as Sr. AVP of Video Solution Business Group and headed the TV Display Business Units in their sales and marketing. Dr. Sun has accumulated over 20 years of progressive and professional experience in sales and marketing, product management, research and development, procurement, as well as global management in ICT and display industries. He holds a PhD in Chemical Engineering/Structural Mechanics from University of Southern California (USC), USA. Marco Suvilaakso is the Global Director of Product Management for Polar, the original fitness wearables pioneer. He is leading the global product management team along with strategic and portfolio planning at Polar. The product management team that Marco leads is pioneering the future standard for fitness and sports experience. Marco joined Polar in 2002 to establish the highly successful running product category for Polar. During his time at Polar, Marco has led teams that have launched groundbreaking fitness tech innovations like the world’s first phone syncing sports watch /HRM (2006) and some of the very first intelligent activity monitors (2007). During his twelve years at Polar Marco has also held various key product management and marketing positions within Polar. Prior to joining Polar he was working in international business development and marketing in the mobile telecoms sector. 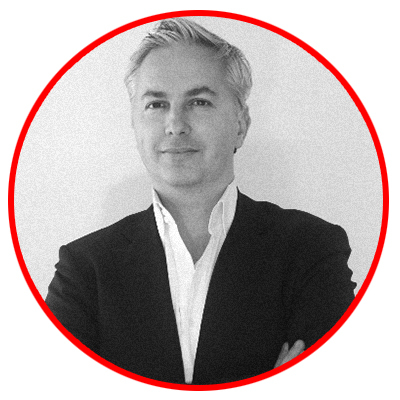 Altogether Marco has 20 years of experience in the international product and service marketing. chairman, smart management consulting co., one of the founders of adventech co.
Based on his vast experience and achievements in R&D and business management, Shih-Yang dedicates himself to promoting practical knowledge and skills to the Taiwanese industry and Taiwanese youth. Shih-Yang helps businesses raise product value and increase competitive capability, as well as helping young entrepreneurs and students to learn the enterprising spirit and ability of starting a new business. Marcel Uhlemann is an entrepreneur and expert investor. He is Managing Partner at JCMB Beteiligungs GmbH, a private investment company from Hamburg, focusing mainly on early stage investments. JCMB invests especially on internet-based business models in the fields of education, health, e-commerce, and saas. Marcel Uhlemann’s portfolio of successful investments includes AUPEO! (exit to Panasonic) and BioConform (biomechanical bike components). Corné van Puijenbroek has 30 years of experience in wireless technology and has pioneered wireless standards like WiFi, DECT, ZigBee and LTE. He launched the world’s first ZigBee product, as CTO of Adcon AG, an Austrian startup. He was also co-founder and CTO of Xanadu Wireless BV (now GreenPeak BV), a Dutch ZigBee startup. For the past 10 years, Corné provided technology consultancy services to several startups in Europe. He authored 15 patents and currently is co-founder and CEO of TraceWave GmbH, an indoor-location technology startup based in the Charlottenburg Innovation Campus in Berlin. Pascal Viaud is Technology Committee Co-Chair of the European Chamber of Commerce Taiwan and EU-Asia cooperation expert in several EU-funded programmes: GNSS.asia (industrial cooperation), EBRC (regulatory & trade cooperation) and TRTA3 (development cooperation). He is representing AEPI, the “Invest in Grenoble-Isère, France” agency in Asia (ex-Japan), also member of the “Silicon Europe” meta-cluster, and in charge of internationalization strategy. Pascal Viaud is appointed President of the Taiwan Chapter of the French Foreign Trade Advisors National Council, by decree and committed to develop “La French Tech” initiative in Taiwan (support to start-ups). His area of expertise lies in high-tech innovations and disruptive technologies. Execution committee member of the asia pacific ict alliance (apicta) / General Manager of BYOC, Acer Inc.
Vincent has abundant experience in venture capital investment and founding startups. He is the Board Director of Taiwan Venture Capital Association (TVCA) and an adjunct assistant professor at National Taiwan University. He is also the co-founder of uknowiknow.com and l-somewhere.com. Vincent earned his Bachelor’s Degree in Electrical Engineering from the National Taiwan University and MBA degree with dual majors in Finance & Entrepreneurial Management from the Wharton School of the University of Pennsylvania. Chris is the General Manager of Sasson Capital, a corporate venture capital subsidiary of MTI (Microelectronics Technology Inc.) a listed (TSE:2314) telecom infrastructure equipment company in Taiwan. He has invested in wireless, internet/mobile services, alternative energy and healthcare tech and currently serves on the boards of Neurosky (US) and MTI-Radiocomp (Denmark). Prior to assuming the current position in 2005, Chris had 15 years of strategy management consultancy and business development experiences with firms such as AT Kearney, KG Telecom, NCR TeraData. He graduated from Columbia University with an MS in Operations Research and an MBA in 1990 and has been an active member of Columbia Alumni Association in Taiwan. Mischa Wetzel is Senior Investment Manager and Head of Creative Industries at IBB-Beteiligungsgesellschaft, a 100% subsidiary of Investitionsbank Berlin (IBB). Since its foundation in 1997, it has invested €141 million in small and medium-sized local companies. Exits include mobile navigation software company gate5 (acquired by Nokia) and the personalized Internet radio service provider AUPEO! (acquired by Panasonic). The investments are increasingly provided in consortia with international co-investors. Mischa Wetzel is a passionate investor with an entrepreneurial soul. He knows Berlin´s startup ecosystem like the back of his hand. Leonie Yang is Media and Communications Manager at the German Trade Office Taipei. The GTO acts as an intermediary between German and Taiwanese businesses and promotes the exchange between both economies. We provide our customers with services tailored to their needs. Leonie Yang has been living in Taipei for three years. She is in charge of all PR and media related tasks at GTO, social media channels, publications and networking events. In this position, she is bringing together business people from Germany, Taiwan and the rest of the world so that they can benefit most from the many advantages both Germany and Taiwan have to offer. GENERAL MANAGER AT METRO PRODUCTS INC.
Dennis You is the General Manager at METRO PRODUCTS INC. His company focuses on providing one-stop-shopping “hardware/software integration solution” for Startups, Crowd-funding, and Makers”. The company’s services range from project management, industrial design, mechanical design, prototyping, molding, plastic injection, PCB assembly and small-batch production. This unique one-stop-shopping integration service is significantly important for the Startups and Makers to realize their dreams, and for the innovators to fulfill the requirements of their Crowd-funding backers. In this era of Internet of Things, the boundary of hardware and software solution is disappearing. Consequently, the changing market demands are gradually driving firms from traditional mass-production to large variety and small-batch manufacturing. Dennis is an industrial designer with multidisciplinary experiences in product design and manufacturing industry with the vision of how we can revolutionize the entire process. Tiffany joined the Committee of Communications Industry Development (CoCID) in August 2014. While CoCID is run by the working team from ITRI, objectives of CoCID include building international liaisons, facilitating industrial integration and offering pre-incubation for ICT start-ups. At CoCID, Tiffany mainly focuses on pre-incubation for early-stage ICT start-ups, project execution pertaining to international cooperation and maintenance of CoCID’s official website. Prior to joining CoCID, Tiffany received her MA degree in International Communications Studies from National Chengchi University (Taipei, Taiwan).